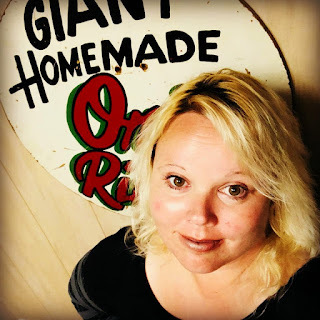 Find out how to get these great items below! 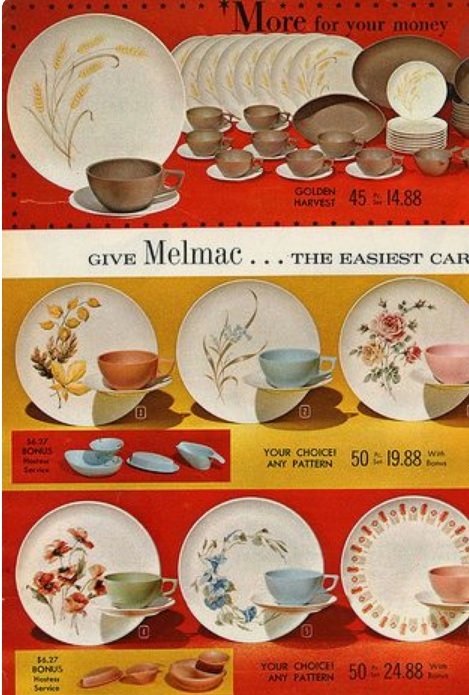 We know the fun melamine of the fifties is never ending, but what about the 1960's? Yes, indeedy, it was still going strong. Just imagine, living back then and nearing the holidays. 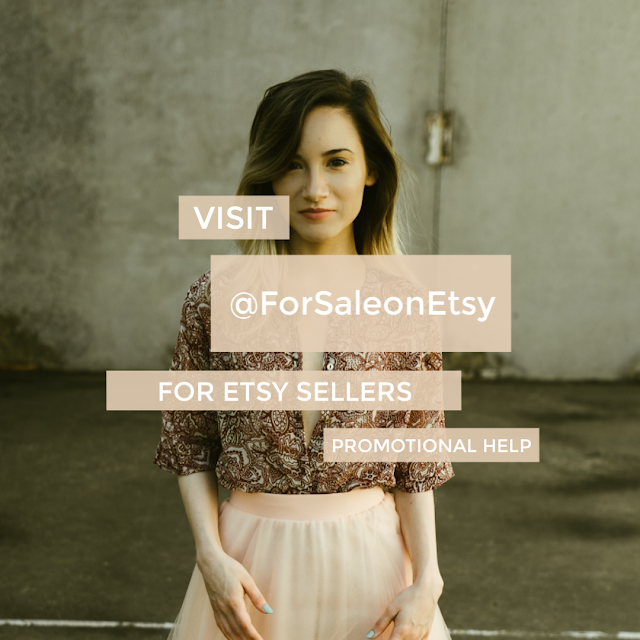 Not having Amazon or Ebay , or Etsy to search on, you would have quite possibly enjoyed a coffee or tea and then having opened a Reader's Digest. This look screams 1962*. 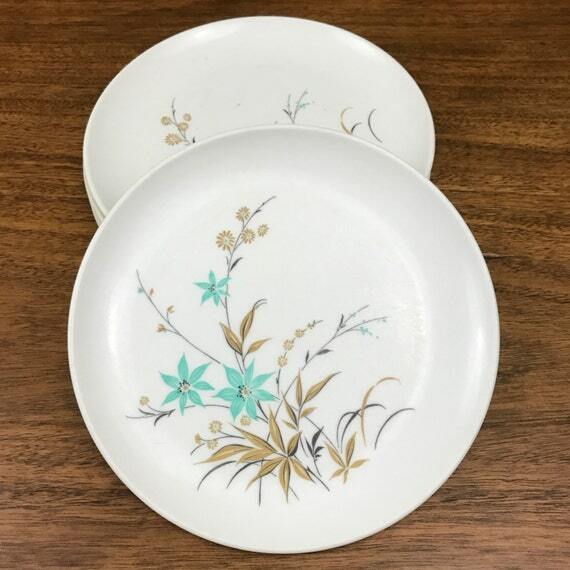 Set of 5 plates $8 @ RiversideTradingCo on Etsy. 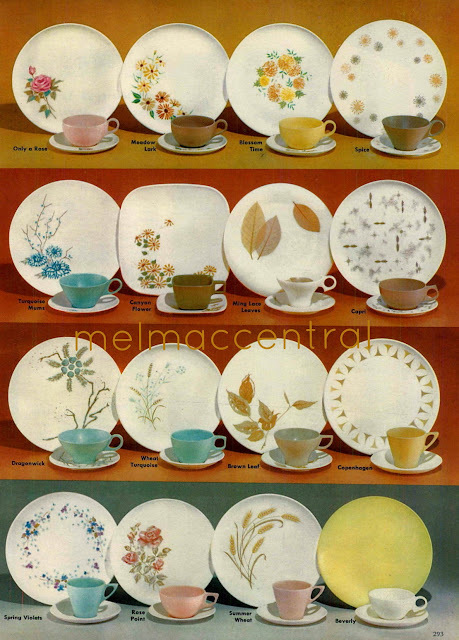 An old marketing book refers me to this: "The Melmac® Dinnerware spread in the Reader's Digest's 1962 gift insert was a huge success". This was reported by a gentleman by the name of Ernest K Hunt, who was the Merchandising Manager in the Plastics and Resins Division of American Cyanamid in 1962. He was indicating that inside brochures are often ripped out and taken (with) by smart shoppers. Melmac Patterns from 1962: Lots of flowers and wheat, thinner styling. I can only imagine from this, that housewives rushed out to buy (quite possibly for themselves) a new set of superior melmac dishes. Perhaps they ripped out of the insert and handed it direct to their husband so he would bring home the most perfect gift. 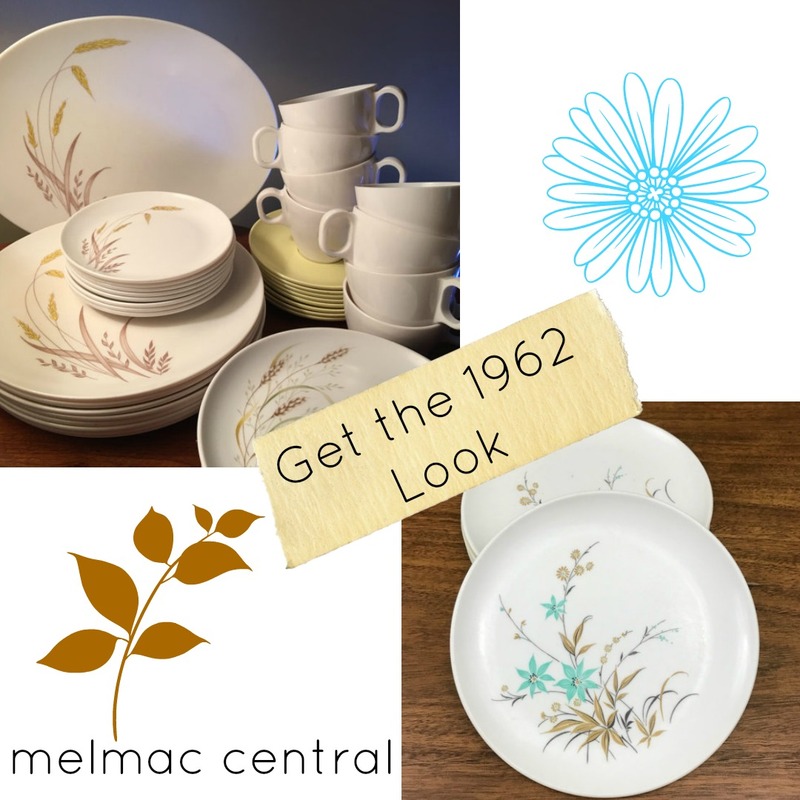 When I see old melamine dinnerware, right away I notice the dishes of the 60's appear in a different color palette and different thickness of the original. Perhaps many manufacturers decided to cut the original bulky designs of the 50's and / or production costs were higher for the materials. An insert from 1962 from a Magazine, to show you some 60's designs. According to one magazine, The Department Store Economist already trained their salesman hard in January 1962 store associates were ready in the beginning of the year for that coming holiday. They write "Of course you have to have a good display of Melmac quality dinnerware on your shelf...where its beauty will catch a woman's eye as she passes by. (Allow about 2 seconds for those attractive patterns to turn her head ...stop her dead.) " The book goes on to indicate that you have a 58 second sales pitch including answers to popular questions. 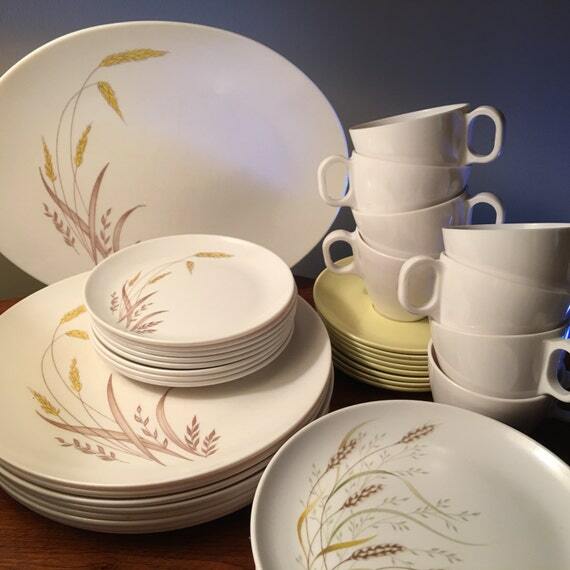 Amazing 60-ish* wheat design by Boonton Molding Company in Somerset Style, find this whole set 41 pcs for $78 at shop FromtheSeller on Etsy. Note: * The designs noted with * above are not guaranteed to be 1962, but are reminiscent of the look of 1962 based on ads and brochures available.